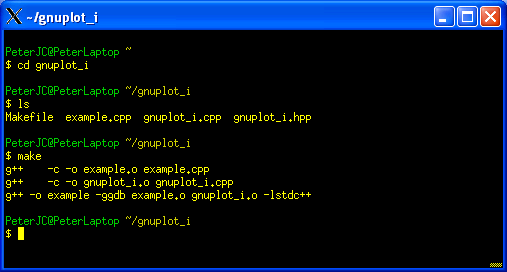 Unzip this to C:\Cygwin\Home\UserName\gnuplot_i where UserName is your Windows User Name. It should print text messages in the command prompt window, and draw assorted graphs in additional gnuplot windows, e.g. 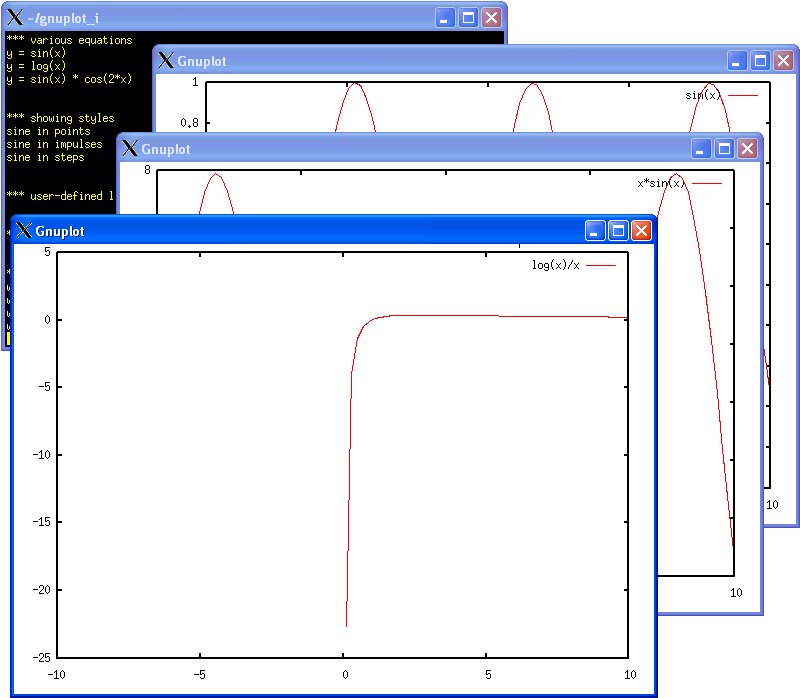 The example here uses a C++ interface to gnuplot written by Rajarshi Guha (a graduate student in the department of chemistry at the Pennsylvania State University). The code (in my ZIP file) is identical to that provided by Rajarshi Guha (in this tarball, which seems to have moved server to here) except I renamed the .cc files to .cpp, and provided it as a ZIP file because they are easier to use on Windows than tarballs. This code was based on the C interface to gnuplot written by Nicolas Devillard. Both interfaces talk to gnuplot using "POSIX pipes" which are supported on Unix and Linux. 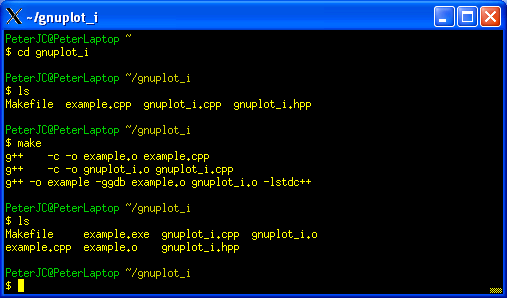 We can use this code under Windows XP with Cygwin to talk to the (Cgywin provided) gnuplot. Nicolas' page also has information on ways of controlling gnuplot from other programming languages, for example gnuplot with Python, gnuplot with Perl and gnuplot with Fortran. Next up, Part Seven - Remote Computing.